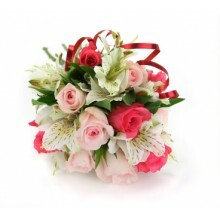 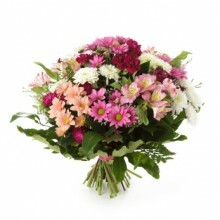 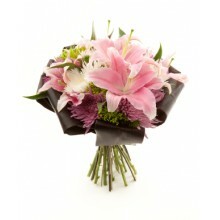 Fortaleza Flower Bouquet will bring perfect happiness to your special recipient in Brazil. Manifest your appreciation across miles with this elegant combination of yellow lilies, 5 red roses, gerberas and blue iris (which may be substitute for Peruvian lilies). 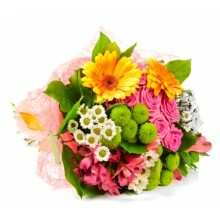 Gorgeous bouquet filled with positive energy and delight to give as a gift to someone in Brazil. 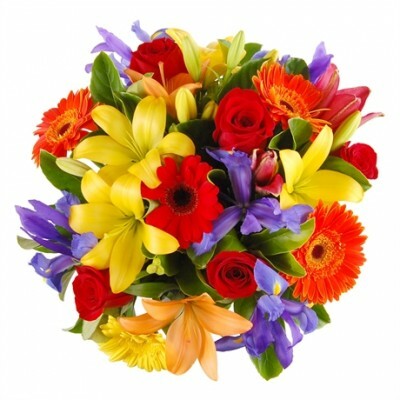 This bouquet features yellow lilies, 5 red roses, gerberas, blue iris (which may be substitute for Peruvian lilies) and greenery. 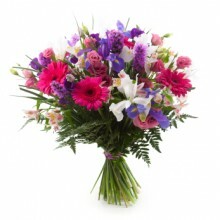 "The bouquet of flowers was amazing"
"She received it, and is extremely happy, thank you very much! "